THE City Council of Davao passed on third and final reading on Tuesday an ordinance requiring supermarkets, grocery stores, and other food establishments in Davao City to establish “halal lanes”. This ordinance mandates the segregation of halal (permissible) food from haram (forbidden) food items, from delivery to storage, display, weighing, slicing, carrying thru baskets/carts/trolleys, until its final packing at the payment counter. 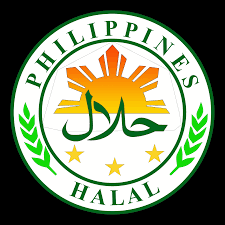 This ordinance primarily aims to promote, protect and respect the religious belief, customs, and traditions of the Muslim community in Davao City in their sacred concept of halal and to ensure spiritual purity and cleanliness of their food. Based on the approved provisions of the ordinance, a halal lane constitutes the delivery of halal-certified products and halal-ensured meat items by the guaranteed suppliers, whether supplied by the shopping center itself or by autonomous entities, through vans, trucks and other meat and fish transporters. It also covers how meat and fish products are stored in freezers, warehouses, or any storage path, place or room inside the grocery stores or supermarkets for preservation or any other purposes and the location of the display and stalls where halal food items and halal-certified products. Slicing, weighing, and packing of halal meat and fish are also to be separated. There should be tools and paraphernalia exclusively for the use of halal food and halal-certified products. The carts, baskets, trolleys or other product carriers are also considered as halal lane incorporates the payment counter, table or lane and plate for wet merchandise where the costumers slide over their items for installment and where the consumption of the sale usually takes place. The ordinance mandates that meat shops, grocery stores, marts and centers which has only has one counter, should designate a space just for halal food and halal-certified products. Among the prohibited acts in the ordinance includes the mixing of halal-certified meat products with haram-certified products in slicing, packing and weighing of meat or inside the delivery van, truck, carrier, freezers, containers, or any other storage for preservation. The improper covering or sealing of the halal products is also strictly prohibited. Owners of grocery stores, supermarkets and other establishments as well as suppliers and tenants who will violate any prohibited acts and practices under this ordinance shall be penalized with not less than P500 but not more than P1,000 for the first office; a fine of not less than P1,000 but not more than P3,000 and/or suspension of business permit and license to operate for at least three months but not more than six months for the second offense; and a fine of not less than P3,000 but not more than P5,000 and/or voiding of business permit and license to operate for the third offense. Marilou Ampuan, chairperson of Halal Committee in the Philippine Tourism Congress and founder of Mindanao Islamic Chamber of Congress, previously lauded the ordinance, as she believes that the application of this ordinance will create ripples of positive impact in promoting halal as one of the fast-growing market globally and it will bring welfare for the Muslims who are vulnerable in violating their Islamic laws due to improper segregation of halal and haram goods. Davao City is the first and only city in the country to do such move.